There is a massive amount of buzz surrounding the upcoming release of Apple’s new iOS7 mobile operating system which promises to offer up the biggest changes since the iPhone was first released. The latest incarnation of the iOS operating system was unveiled at the Worldwide Developer Conference in San Francisco earlier this month. Let’s take a look at the top 10 changes that will feature in iOS7. The home screen on this latest version of iOS will feature a 3D effect. Twisting the phone will move the icons around the screen in relation to the wallpaper image. There will be easier access to the Control Center via a simple swipe up from the bottom of the screen. There will be multi-tasking for all apps on iOS7 which well have the ability to learn from your habits and update those apps used most frequently first. Easy device to device content sharing will be available with AirDrop. Changes to the appearance of multiple tabs on Safari making it very much like navigating through albums on iTunes. Organization of iOS7 photos by moment to help group your memories together for easy viewing. The Siri voice assistant will perform searches using Microsoft’s Bing search engine as its default. The infamous red bubbles are no more as there will be automatic updating of all apps. A major theft deterrent has been introduced in the form of an activation lock which will only allow iPhones to be unlocked if the iCloud password is also known. 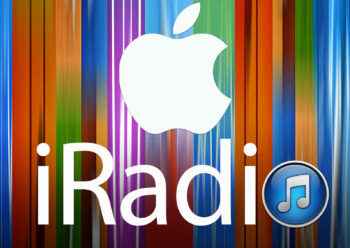 The new iTunes Radio music streaming service will be included with iOS7 offering ad supported music and ad-free subscription services which will provide automatic music based on iTunes Match services.